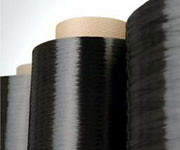 Toho Tenax, a core company of the Teijin Group�s carbon fibres and composites business is planning to develop and market carbon fibre fabrics for India�s composite industry in collaboration with Hindoostan Technical Fabrics, a carbon and aramid textile manufacturer. This will be the first time Toho Tenax will partner with a textile manufacturer in India�s carbon fibre sector. Under the partnership, Toho Tenax will supply its proprietary Tenax carbon fibre to Hindoostan Technical Fabrics for weaving and processing into textiles. The two companies will jointly market products to manufacturers of composite materials and reinforced sheets. The focus of the collaboration will be on the Indian composite industry serving various industrial domains including transportation such as automotive, aerospace and railway; wind power; sports and leisure; medical equipment; construction reinforcement and retrofitting; electronics such as computer and mobile phone housings, as well as a host of other industrial applications requiring advanced carbon fiber based solutions. Toho Tenax, which already supplies chopped carbon fibre in India, sees significant potential in the nation�s carbon fibre market, and is preparing to meet surging demand from various customers for highly valued intermediate material including prepregs. India�s composite industry has recorded robust growth of about 20% per year over the last five years. Tenax carbon fibre textile is already used globally in a wide range of composite products, such as automotive parts, wind-turbine generator blades, medical machinery and machine tools.